Housing and Tax Reform: Where Could the Impact Land? Homebuyers and homeowners are anticipating fallout from the Tax Cuts and Jobs Act, which has changed homeownership incentives, including the deductions for mortgage interest and state and local taxes. How deep the effect is hinges on location, according to new research. With the bill’s new provisions, the mortgage interest deduction (MID) is applicable to loans of up to $750,000 (down from $1 million), and state and local tax (SALT) deductions are limited to $10,000. 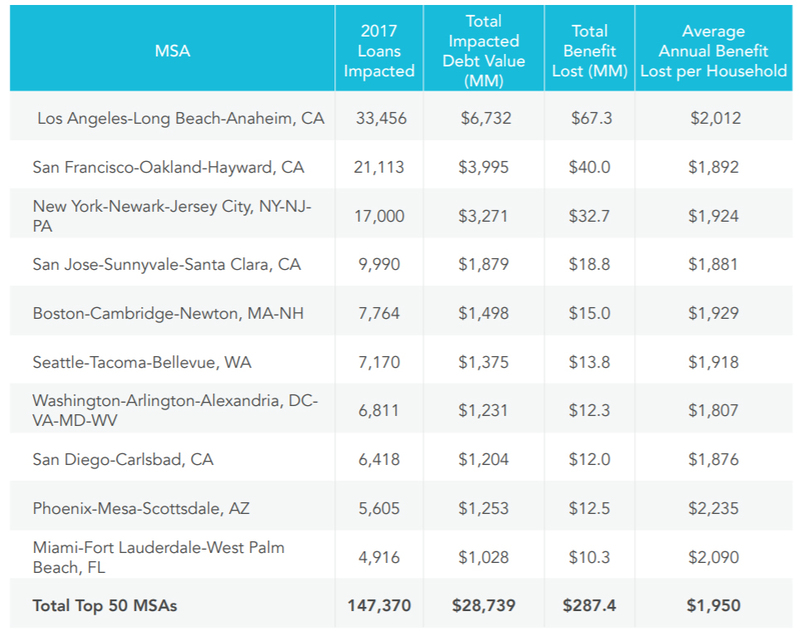 An analysis conducted recently by HouseCanary, provider of predictive real estate analytics and insights, determined that 82 percent of lost MIDs under the new laws are concentrated in 10 metropolitan statistical areas (MSAs), including four California MSAs and four East Coast MSAs. All told, 6.4 percent of loans between $750,000 and $1 million could be affected by the changed MID, or $287 million in deductions lost total, the research reveals. In the case of the deduction of state and local taxes, including property taxes, 66 of the 3,134 counties in the U.S. could be impacted, the research shows. Bearing the brunt could be Boston, Mass., New Jersey and New York, where citizens could depart for lower property taxes in other states. “The recent tax bill clearly addresses some key deductions for many current and potential homeowners, yet the overall net effect on the nation’s housing picture is harder to discern,” says Alex Villacorta, executive vice president of Analytics at HouseCanary. “On the surface, the reduction in the caps for the mortgage interest deduction (MID) seem to squarely target the higher end of the nation’s housing inventory, specifically those homes valued between $750,000 and $1 million. Throw in the caps to the state and local taxes deductions, and even more force is added to the headwinds for homeownership. Thirty-three percent of Americans approve of the Tax Cuts and Jobs Act; 55 percent disapprove, according to a Gallup poll in January. More than 35 percent of respondents to a December realtor.com® survey were “concerned” about homeownership in light of the reform. The post Housing and Tax Reform: Where Could the Impact Land? appeared first on RISMedia. 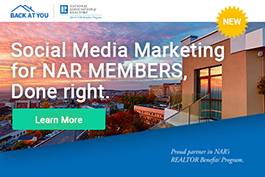 NAR PULSE—Back At You Media, the newest partner in the REALTOR Benefits® Program, provides powerful automated marketing to ensure your agents and their listings rise above the noise on social media. Learn about the three different plan options available to members of the National Association of REALTORS®. All have exclusive pricing for members. Learn more. NAR’s 2018 New Member Orientation Materials are now available online for use by brokerages. NAR offers resources and tools to help brokers welcome new agents into the REALTOR® family, and its wealth of benefits and resources. Included is the new 2018 online video about NAR benefits to show at new agent orientation. The member orientation materials, including details about the online module, are available here. The post Help Your Agents Perfect Their Social Media Strategy appeared first on RISMedia. The post Home Laundry: To Vent or Not to Vent appeared first on RISMedia. The post Survey Results: What Keeps Brokers Up at Night? appeared first on RISMedia. In the following interview, Phyllis Staines, broker associate at RE/MAX Coastal Real Estate in Ponte Vedra Beach, Fla., discusses disruption, marketing and more. Favorite Part of Your Job: The freedom and unlimited potential for earning. I also enjoy solving problems, and those who are needing to buy or sell have a problem that we need to solve for them. Best Advice for Someone Just Getting Into the Business: Be prepared to work hard in order to build a reputation of trust and honesty that people will gravitate toward. As the industry continues to change and evolve, it’s important to remember that technology will never substitute the skill and diligence of a real estate professional. That being said, I believe technology disruption could have the biggest impact on the real estate industry if we don’t recognize that it’s happening. If we sit back and turn a blind eye toward the disruptors coming into the industry, it could impact us more than we realize. Complacency is a concern we must take more seriously. We can’t rely on technology to solve everything. It’s simply a tool. Is there a specific trend or movement you’re currently paying attention to that has the capacity to disrupt the market? Instant Offers have become a hot topic within the past year, with Zillow and other technology groups testing out instant-offer platforms. While I don’t necessarily foresee this becoming a huge disruptor in my market, it’s something I will continue to pay attention to. In what ways does your company stay flexible and current? The RE/MAX intranet we have access to—which includes RE/MAX University, where agents can take part in constant training—is key to staying flexible and current. Being a leader in the industry, RE/MAX is aware that they must be cognizant of the competition. The development of their new logo is one example that shows just how tuned into the market they are. I’m a big Homes & Land advertiser, a publication I’ve been advertising in for at least a dozen years. Not only do I recognize the value of print, but I also supplement it with social media, the internet and direct mail. I’m having a great response from both direct mail and Homes & Land, and that’s because so much of my competition isn’t doing it anymore. All in all, I’m a big believer in Homes & Land, as there’s no other magazine in my market that applies solely to homes. We owe it to our sellers to expose their property in every way possible, and print is one of those ways. Looking ahead, what are you most looking forward to as 2018 gets underway? While I’m hoping 2018 brings more inventory and drives more people into homeownership, I’m also going to continue to improve my skills and education in order to stay ahead of the competition. For more information, please visit www.homesandland.com. The post Building a Reputation of Trust and Honesty appeared first on RISMedia. It is more affordable to buy a home than rent one in more than half of markets—but for how long remains uncertain, according to recently released research. In 54 percent of the over 400 counties analyzed by ATTOM Data Solutions, buying the median-priced home is more affordable than renting a three-bedroom one, according to ATTOM’s 2018 Rental Affordability Report. The biggest counties better for buying are Tarrant County, Texas, home to Ft. Worth; Broward County, Fla., home to Miami; Bexar County, Texas, home to San Antonio; Wayne County, Mich., home to Detroit; and Philadelphia County, Pa.
Big counties in general, however, are better for renters, the research shows. Gains in home prices are exceeding growth in rents in 59 percent of the counties assessed, including Los Angeles County, Calif., Cook County, Ill., and San Diego County, Calif. The contrary is happening in 40 percent of the counties examined, including Harris County, Texas, home to Houston; Maricopa County, Ariz., home to Phoenix; and Kings County, N.Y., or Brooklyn. Incomes are also lagging rents in 60 percent of counties, including, again, Los Angeles County, Cook County and San Diego County. Learn more in the report. The post Buying Is Better Financially in More Than Half of Markets: Report appeared first on RISMedia. Ask any agent, broker or constituent in real estate: There are challenges facing the Multiple Listing Service. A discussion on the future of the MLS—what it can be, and what it should be—hosted by the California Association of REALTORS® (C.A.R.) recently illuminated those issues, and strived for solutions. “An MLS should be defined not only by its data, but its access to the data, so brokers can get easy access to and keep the products and services they want and not necessarily what the MLS decides to provide to its members,” said Rebecca Jensen, CEO and president of Midwest Real Estate Data LLC (MRED), during the discussion, held on Jan. 10 in Los Angeles. Jensen is board chair of The MLS Grid—a consistent data feed, licensing and rules for brokers, MLSs and vendors—as well as on the board of the Broker Public Portal (BPP). The BPP and The MLS Grid are two of a few initiatives in play, along with Upstream, which is backed by the National Association of REALTORS® (NAR) and Realtors Property Resource® (RPR®). 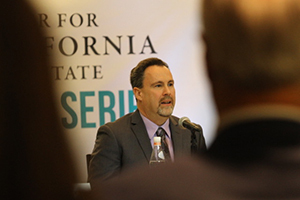 Addressing the inefficiencies is key, the panel said. “Our goal is to really work on the challenges…to find a way, through the efforts of all these organizations, to provide consistent data efficiency, to try to break down data silos that are huge pain points in brokerage communities,” said Jeremy Crawford, CEO of the Real Estate Standards Organization (RESO), which has developed data standards used by hundreds of associations, brokerages, MLSs and vendors. Is it beneficial, even, for the existing inefficiencies to be streamlined? “Meeting the consumer where they are, but empowering the agent with more data—that’s available through these silos that we’re trying to break down—will make the MLS more valuable than it is today,” said Quincy Virgilio, broker associate of Coldwell Banker Residential Brokerage in San Jose, Calif. Concerning, however, is the pace of progress. 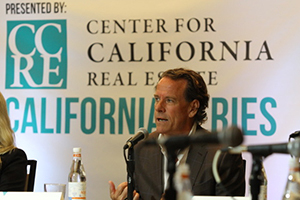 “There’s an opportunity that is fast fading in the MLS community as a whole to make meaningful change, and if we do not do it shortly, then we will forever be chasing others that will most likely take the handles and move forward,” said Art Carter, CEO of the California Regional Multiple Listing Service (CRMLS) and chair of RESO. Is the answer consolidation? Archaic hierarchies are a hurdle, with resistance starting at the top, according to a few panelists. “The people that sit on those [MLS] boards don’t have the broader view that others have…[they’re] not as well informed as they need to be, and it goes all the way through the system,” Radsick said. “It’s really human factors that stand in the way of this—of greater cooperation and consolidation,” said David Charron, chief strategy officer of Bright MLS, which is a consolidation of nine Mid-Atlantic MLSs. Bright MLS adheres to the RESO Data Dictionary. As a construct, the MLS is still valuable, agreed the majority of panelists. Across the board, collaboration—and compromise—is needed. “If you have a hand in creating your future, even if you [only] get 85 percent of what you want, that’s still enough to move forward,” Jensen said. Readers: What is the fate of the MLS? What improvements are needed? Comment to share your thoughts. The post The Great Debate: What the MLS Can Be, and What It Should Be appeared first on RISMedia. A Southern California real estate professional perished tragically in the mudslides last week, one of more than 15 victims of the latest catastrophe to strike the state. Rebecca Riskin, of Riskin Partners in Montecito—known as the “first lady of luxury real estate”—was killed as a result of the ensuing flood and mudslides in the Thomas Fire‘s wake, Riskin Partners confirmed in a release on Thursday. Riskin was a longtime Montecito resident, responsible for over 470 transactions totaling $2.17 billion, according to the release. Riskin is survived by her husband, Ken Grand, and a son and a daughter, as well as other extended family members. (At press time,) the mudslides have claimed the lives of 17 people and destroyed 100 homes, reports the Wall Street Journal. Mudslides commonly occur post-fire season when the land has been stripped of vegetation, allowing water to quickly flow down hills in under 30 minutes of torrential downpour. This incident, however, has been one of the more destructive. According to CAL Fire, Gov. Jerry Brown ordered mandatory evacuations for areas below the Thomas, Whittier, Sherpa and Rey fire burn areas last week, and multiple areas were under voluntary evacuation orders. But unlike the fires, which take more time to reach the communities within the hills, the mudslide happened quickly, leaving residents with less time to prepare. Controversy surrounds the state’s preparedness, as residents report confusion when it came to delineating the mandatory and voluntary evacuations zones. Residents did not have time to make a decision about staying or going, and confusion about whether their area was in immediate danger could have played a role in the only 200 individuals (reported by WSJ) that heeded warnings to leave the Montecito area. The heavy rainfall has tapered off, taking with it the risk of additional mudslides. Multiple rescue teams have been deployed. The California Governor’s Office of Emergency Services (Cal OES) reports it deployed a 14-member Swiftwater Flood Search and Rescue Team from the Long Beach Fire Department last week, along with others. Multiple residents are still reported missing, but the rescue efforts are underway, having rescued over 20 injured or stranded residents (at press time). The WSJ reports that helicopters are airlifting people off rooftops, stating that a real estate agent was found alive, hanging from a tree branch, after his partner assumed worse hours earlier. Another real estate agent, Marco Farrell, survived the ordeal after he stepped outside to discover the oncoming mudslide and tried to warn neighbors, reports ABC News. Have you been impacted by the California mudslides? Email online@rismedia.com to share your story. The post California Real Estate Professional Among Mudslide Victims appeared first on RISMedia. On April 11, 1968, President Johnson signed the Fair Housing Act into law. This marked an important and historic change in our nation’s commitment to property rights, recognizing that property rights should not be abridged because of discrimination based on race, color, national origin or religion. In later years, the law was amended to prohibit discrimination based on gender, disability and familial status. The National Association of REALTORS® (NAR) will commemorate this historic piece of legislation with a year-long campaign beginning in January and highlighted by a reception at the National Museum of African American History and Culture during NAR’s 2018 Legislative Meetings & Trade Expo in May. The campaign will incorporate a review of history that recognizes our early opposition to fair housing and celebrates real estate leaders and organizations that helped change our policies. Today, we’re leading efforts to expand fair housing protections based on sexual orientation and gender identity. We’ll also look at ongoing fair housing issues affecting our communities. Fair housing isn’t just about the transaction. Our livelihood and business as REALTORS® depend on a free and open market that embraces equal opportunity. We need to take a leadership role in identifying and addressing these issues. Whether it’s school quality or access to healthy communities and economic opportunity, these issues not only affect the choices of homebuyers and renters; they make it harder in some communities to be a successful REALTOR®. By commemorating this law, NAR, as the “Voice for Real Estate” and a champion for private property rights and homeownership, will raise awareness about the importance of equal housing opportunities. The National Association of Real Estate Brokers, the Women’s Council of REALTORS®, the National Association of Hispanic Real Estate Professionals, the Asian Real Estate Association of America, and the National Association of Gay and Lesbian Real Estate Professionals will join NAR in commemorating the fair housing anniversary. These organizations are firmly committed to equal housing opportunities and recognize the unique and important role each organization has in this noble endeavor. Help your company, community, and local and state association identify and commemorate fair housing history and champions in your state. Post what you’re doing on fairhousing.realtor. Share ideas, adapt what others are doing to meet your needs and work with local chapters of our national partners. Work in your committees to support efforts to get Congress to pass changes to the Fair Housing Act to expand fair housing protections based on sexual orientation and gender identity. This column is brought to you by the NAR Real Estate Services group. Fred Underwood is the director of Diversity and Inclusion, NAR Community and Political Affairs. For more information, please visit www.nar.realtor. The post Fair Housing Makes Us Stronger appeared first on RISMedia. Confidence in housing was subdued in December in the Fannie Mae Home Purchase Sentiment Index® (HPSI), derived from Fannie Mae’s National Housing Survey® (NHS). The HPSI overall posted 85.8 in December, two percentage points lower than the month prior. The share of homebuyers surveyed for the Index who believe now is a good time to buy fell five percentage points to 24 percent, while the share of sellers who believe now is a good time to sell stayed the same at 34 percent. The share of those who believe home prices will go up fell two percentage points to 44 percent. The post Confidence in Housing Subdued at Year-End appeared first on RISMedia. Once touted as the most popular and innovative internet community of its time, Facebook is now pushing to compete with trendy social media platforms like Instagram and Snapchat. As part of its rebranding efforts to become an all-in-one service, Facebook recently added payment capabilities to its messaging service, along with various filters to its camera settings to mimic Instagram’s photo editing settings. It is now making a move into the real estate industry by adding apartment and home rental listings onto its existing Marketplace storefront, which so far only included household items, job postings and car listings. Adding a social media twist to a popular Craigslist service, Facebook is transforming apartment searching into an interactive experience by providing 360-degree photo capabilities and using social media profile information to reduce the chances of scams and unsafe transactions. And while consumers will be able to search for properties based on location, price, size, bedroom number and animal restrictions—information that is provided by landlords and leasing companies—a real estate agent is nowhere in sight. So, how is this going to be impact the industry? For many real estate agents, being fully entrenched in the rental business is a great way to transition into buying and selling. This is especially true for greener agents that don’t yet have the real estate experience, and need to build business by working primarily with renters. After all, it’s safe to assume that many of those renters will become buyers someday. Not only is it a great way for agents to familiarize themselves with the industry, but it’s vital to building a contact database that they can grow. The more capabilities are added onto an app, the more complex it will become. Yes, consumers expect a one-stop shop for services that make sense together, such as ordering food and getting it delivered; however, Facebook is primarily a social media site, and that’s what it will always be known for. While some community aspects like groups and neighborhood tag sales are successful, trying to condense an entire rental industry into an app’s subcategory may be a stretch. While Facebook maintains that the service is free of charge, putting a rental listing on the market is well worth the commission paid. When using a real estate agent, the rental commission goes toward listing services, such as photography and staging, as well as marketing, consulting and vetting renter prospects. While working with a real estate agent may be more expensive, the money paid goes further in providing clients with piece of mind and ensuring a quick and smooth transaction. And while the partnered companies say they are relying on brokers, agents and other property managers to fill out the housing section, Facebook has not yet clarified how it plans to involve industry professionals in the process. The problem with marketing a rental outside a multiple listing service is visibility. A brokerage will be able to promote the listing, making it visible to its own set of renters, as well as the clients of other brokerages. By using the Marketplace platform, landlords will have to settle with renters who are primarily on Facebook, which may lengthen the renting process. There is also no vetting by an experienced agent involved. Landlords will have to deal with all credit types, and will have to request and go through references and rental histories on their own. Unless landlords find renter candidates from their own friends list, they will still be interacting with strangers, regardless of being members of the same social media site. It will be interested to see how Facebook fares in its latest endeavor. But the industry will have to keep a watchful eye for signs of this social media enterprise involving itself in buying and selling real estate. Appraisals better matched owner perceptions in October, coming in only 0.99 percent lower than expected, according to the latest Quicken Loans’ National Home Price Perception Index (HPPI). The latest Quicken Loans National Home Value Index (HVI) shows appraised values rose 4.76 percent year-over-year. Owner’s estimates of their home’s value rose above the actual appraised value by an average of 0.99 percent, according to the National HPPI. This marks the fifth consecutive month the gap between the two value opinions narrowed. Also, the HPPI is now the closest to equilibrium it has been since April 2015. The trend of appraisals surpassing homeowners’ estimates in Western cities continued in October, with appraisals as much as 3.13 percent higher than expected in Dallas. On the other hand, Eastern and Midwestern cities were more likely to have an appraisal below the owner’s estimate. The HVI, the only measure of home value change based solely on appraisal data, showed values increasing at a measured pace month-over-month and making larger strides on an annual basis. Nationally, appraised values rose 0.71 percent from September to October and jumped 4.76 percent year-over-year, according to the HVI. All regions had similar annual growth; however, the Midwest and the West had slight dips in monthly value. For more information, please visit QuickenLoans.com/Indexes. The post Appraisals Better Match Owner Perceptions appeared first on RISMedia. 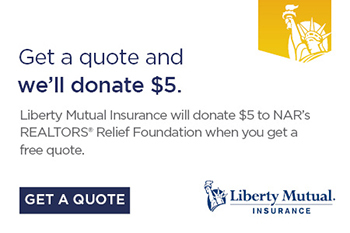 NAR PULSE—When you get a quote on home or auto insurance from Liberty Mutual, a REALTOR Benefits® Program Partner, they’ll donate $5 to NAR’s REALTORS® Relief Foundation to support survivors of disasters across America. Find out how you can save hundreds on your insurance coverage and give much-needed help to others. Offer is valid until Nov. 30, 2017. Save and support today! Save on Products and Services You Already Use! In just one year, over 800,000 REALTORS® saved a combined $59 million by taking advantage of at least one offering through NAR’s REALTOR Benefits® Program. Learn how you can save this year with industry-leading companies, including FCA US LLC (Fiat Chrysler Automobiles), Placester, FedEx, DocuSign and more. Learn more. Have You Seen What’s Hidden Within the RPR® App Icon? Introducing, digital shortcuts to the features you use most, now within the Realtors Property Resource® (RPR®) app. Known as 3D Touch on iOS and Quick Shortcuts on Android, the shortcuts are really all about efficiency, enabling users to gain quick access to favorite RPR features such as nearby properties, an agent’s current listings, recent reports and saved searches. Discover the app. The post Get a Quote, Make a Difference With Liberty Mutual appeared first on RISMedia. In the country’s currently divisive environment, Democrats and Republicans agree on at least one American hallmark: homeownership. Additionally, both sides believe they can afford their home for as long as they would like to live in it (91 percent of Republicans and 89.6 percent of Democrats), even as prices reach—and, in some areas, shatter—records. According to the latest Zillow Real Estate Market Report, home prices increased 6.9 percent year-over-year. The ability to afford their current home for the long term, however, means more are staying put. Forty percent of Democrat and Republican respondents on the West Coast—containing double-digit growth in many markets—do not plan to buy a home for at least five years, if at all, the report reveals. The post Report: American Dream Incomplete Without Homeownership, Parties Say appeared first on RISMedia. Today, the Real Estate Buyer’s Agent Council (REBAC) boasts nearly 30,000 members and over 25,000 Accredited Buyer’s Representative (ABR®) designees. As the industry continues to grow and flourish, REBAC singles out certain members performing exemplary acts who deserve special recognition. These outstanding ABR® designees are selected by an independent panel for inclusion in the REBAC Hall of Fame. This year’s Hall of Fame inductees include Todd Beckstrom of ERA Wilder Realty, Inc., in Chapin S.C.; William Bodouva of Coldwell Banker Residential Brokerage in Port Washington, N.Y.; and Peggy Worcester of Weichert REALTORS® in Clarksville, Tenn.
How exactly did the latest batch of REBAC Hall of Famers elevate themselves to be the best buyer’s reps in their respective markets? Here, learn what the trio does differently to consistently keep their name and brand top of mind. “Flexibility is crucial,” says Worcester, who works in a military market where buyers don’t have a great deal of time to view homes. “We have to be sensitive to their needs and schedule,” she adds. Quite often Worcester will receive a phone call bright and early on any given Monday saying that her newest buyers are coming to town for the weekend…and plan to return to duty the following Monday having purchased a home. On the other hand, Beckstrom says he starts every relationship with a mandatory buyer consultation where he’s asking a lot of questions—his favorite coming from a colleague he worked with many years ago. But Beckstrom doesn’t just educate his buyers. In fact, he wrote a patented algorithm to help his clients analyze any market segment anywhere in the world for supply and demand. “The program takes 15 minutes to run, and my buyer becomes an instant expert on market conditions. They understand what it will take to buy the type of house they want after using my program at howisthemarket.net,” says Beckstrom. Bodouva earned his International President’s Elite Award (given to the top 2 percent of all sales associates/representatives worldwide in the Coldwell Banker System) with a well-practiced system that consistently elevates him to best-in-class status among his market’s buyer’s representatives. The REBAC Hall of Famer also networks in many professional associations, carefully monitoring the ever-changing needs of buyers and sellers alike. To that end, he’s working on a program where international buyers relocating to the U.S. can reach a qualified Accredited Buyer’s Representative to assist them with both their purchase and move. While it could take years to implement such a program in his home state of New York, Bodouva confidently pledges that he’s on it. When it comes to differentiating themselves among peers and colleagues, this year’s REBAC Hall of Famers each recounted specific practices they developed to shine brighter in their markets. Since a large amount of first-time homebuyers are constantly hitting her market, Worcester accounts for the time it takes to help each prospect become better educated about the home-buying process. Beckstrom helps buyers understand that his time is ultimately of greatest value to them from the get-go. After the sale has been completed, Beckstrom touches base by phone every quarter, in addition to sending emails, mailers of value, and more. Because of his practiced follow-up, more than nine out of 10 new clients come through referrals every year. Bodouva believes most agencies discourage agents from venturing into the realm of buyer representation due to “vicarious liability.” This just spells more opportunity for credentialed buyer’s agents. “Buyer representation is the most natural, misunderstood concept in New York real estate,” he observes. When it comes to leveraging his ABR® designation, Beckstrom’s initial motivation was to show potential clients that he was capable. Worcester proudly displays her ABR® designation on her business cards, name badge and email signature. By building an added layer of trust in knowing about Worcester’s ABR® designation, her clients recognize and appreciate that she goes above and beyond to be a better buyer’s agent. Bodouva educates his clients about the stringent criteria he had to complete to proudly earn and promote himself as an ABR® designee, and the many ongoing administrative costs and responsibilities he has to maintain to promote himself as such. “I make it very clear through positive informational comparisons that ABR® is the benchmark of buyer representation,” he says. For more information, please visit www.REBAC.net/HOF. The post 2017 REBAC Hall of Famers Share Their Secrets to Continued Success appeared first on RISMedia. Home Prices Rapidly Rise: Is History Repeating Itself? The current growth in home prices is echoing the lead-up to the recession. Is history repeating itself? The post Home Prices Rapidly Rise: Is History Repeating Itself? appeared first on RISMedia. Perhaps the biggest advantage self-directed IRAs offer is the ability to invest in what you know. For many Entrust clients, that means real estate. More Entrust clients invest in real estate than in any other asset. Their reasons for investing in real estate include the desire to diversify their investment portfolios; benefit from long-term, tax-advantaged market value growth; and generate an ongoing revenue stream while they own the asset. Every year, Entrust produces a report that describes trends and activity among their real estate investors. This article highlights their 2016 real estate purchases. California, Texas, Colorado, Florida, and Arizona are the top five states where clients bought property in 2016. This has been consistent for several years. Looking at the list of 12 states where Entrust clients bought real estate, purchases in Missouri increased nearly 4 percent over 2015. And for the first time, clients bought property in Ohio, Tennessee, Indiana, and Washington. California, however, remained the top choice, with one-quarter of all purchases made there. Taking a broader look at the regional level, purchases in the West actually declined by 7 percent. It may have been that higher prices discouraged investors from buying there. The decline in purchases in the West was more than made up for in increases in the Midwest (up 4 percent) and South (up 5 percent). This may have been the result of investors seeking property in other, less-expensive regional markets. Where clients buy is closely related to where they live. Floridians and Arizonans, for example, maintained their solid, 100 percent preference for local real estate, and Coloradans increased their in-state purchases by 8 percent, from 72 percent in 2015 to 80 percent in 2016. Californians (57 percent) and Texans (88 percent) were more willing to buy out of state in 2016 than in 2015. This may have to do with the hot property markets in those two states, with investors looking for better deals a bit farther afield. A glance at the stock market, unemployment figures, or the business news shows that the U.S. economy is picking up steam. In general, the real estate market is heating up, as well. As a result, Entrust clients paid more in 2016, when the average purchase price was $192,563, compared to 2015 ($177,777 average purchase price). But not all regions benefited equally from higher prices. See the top five states average purchase prices price fluctuation in the full report here. Historically, investors have preferred single-family residences, and that held true in 2016. The number of single-family houses bought increased 7 percent over 2015, from 44 percent to 51 percent. Multi-family residence accounted for just over a quarter (27 percent) of purchases. The big change came in clients buying vacant land; that number increased from 12 percent to 18 percent year-over-year. Commercial real estate purchases declined from 3 percent to 1 percent in 2016. The complete 2017 Real Estate Investor Market Research Report, including information on the U.S. rental market, is available on The Entrust Group website. The Real Estate IRA Center also provides comprehensive information on how to invest in real estate using your self-directed IRA. Download the latest Real Estate Investor Market Research Report here. The post New Study: Where Self-Directed Real Estate Investors Are Buying Property appeared first on RISMedia. The National Association of REALTORS® (NAR) Power Broker Roundtable this month discuss broker challenges and opportunities with NAR 2018 President Elizabeth Mendenhall. Robert Bailey: A 20-year, sixth-generation REALTOR® from Columbia, Mo., the National Association of REALTORS® (NAR) 2018 President, Elizabeth Mendenhall, will be bringing a fresh perspective and important agenda to her tenure at the helm of the membership in 2018. She was kind enough to join me this month to share some thoughts on what lies ahead for the broker community next year. First off, Elizabeth, congratulations on your appointment as president! Secondly, in your opinion, what are some of the biggest challenges facing brokers right now, and how do you hope to address those challenges as president? Elizabeth Mendenhall: Thank you, Robert! I’m very honored and excited to take on this important role. As far as broker challenges, I think market conditions top the list right now. We hope that our brokers can be more involved in taking a stake in their communities in order to be leaders in their own market issues. When they’re involved, they can help mobilize programs and development. Brokers are also trying to tackle recruiting and profitability. While NAR doesn’t advocate one business model over another, we do advocate that REALTORS® are essential to consumers in the transaction, and we advocate for property ownership. We’re going to spend the next year advocating for our role in the profession, and why it’s critical to have a REALTOR® in the transaction. RB: Where do the greatest growth opportunities lie for brokers? EM: Technology and partnering. The fastest way to profitability is to use what you already have. There can be big cost savings in scaling. If NAR can help facilitate that, or if your state or local association can help facilitate that by providing brokers with tools to help them with their business, that’s an advantage. An enthusiasm for adopting new tools is critical for long-term success. RB: What should brokers focus on in terms of recruiting and retaining agents? EM: Just like with consumers, agents are exposed to a lot of information, and as a broker, you have to distinguish what makes you and your office stand out. What’s your culture? Your specific model? When agents go on listing presentations, they have to have confidence and know why they’re the best choice. The broker has to have that same confidence when it comes to recruiting agents. They have to know what makes them different. I teach a class called “Broker on a Budget,” and sometimes it’s just a really cool, inexpensive thing that can make your firm different or improve the overall office culture. You have to look at all those little ways that touch an agent and that build connections. Sometimes it’s the little things that make you stand out. RB: How can brokers evolve their firms to best serve their agents and consumers? EM: Stay involved in their association. And I think they need to constantly make sure their firm reflects the market. Are we diverse enough? Do we have enough younger agents? Enough experienced agents? Do we have teams? If we want to continue to evolve, brokers also have to spend time on themselves in terms of education and training. And then they need to involve their team and their staff members. If you want to see change in your office, take your staff members to the annual REALTORS® Conference & Expo, invest in their training. It’s amazing what they’ll bring back and what ideas they’ll share. RB: What trends should brokers pay close attention to? EM: For starters, the fact that we’re closer and closer to an electronic transaction—they need to start preparing themselves now. Brokers also need to be aware of security breaches and cyber attacks. You need to know how to protect your data and how data is being used. You also have to pay attention to changing consumer demographics. All of this is overwhelming, but this is where NAR plays a role as a valuable resource. RB: How can brokers best lead in today’s challenging environment? EM: When we hired Bob Goldberg as CEO, we learned that people follow people—they don’t follow organizations. People are looking to their leader and wondering, what are their passions? Are they fun? Are they approachable? They also want to know their broker is available or that they’ve built a team to handle that type of connectivity with their agents. Brokers have to understand that their clients are their agents, so are they coaching and leading? Are they demonstrating how to be a good customer, a good volunteer? Are brokers mimicking the things they appreciate in their mentors? The best leaders are those who know they’re watched, but also don’t care that they’re being watched, because they’re going to do what’s right, no matter what. They’re not afraid to make changes, not afraid to let people see them fail. They’re going to own it, no matter what. The post Straight Talk With 2018 NAR President Elizabeth Mendenhall appeared first on RISMedia. The post Appealing to Investors: ‘Emerging’ Markets Show Strength appeared first on RISMedia. Are you on the fence about owning a home? It may be better to buy now than wait. The nation’s median home value is expected to grow by $6,275 to $208,975 just one year from today, according to Zillow, adding on to the already considerable funds homebuyers need now to own a home. The average homebuyer, in fact, has to add $105 more each month to their down payment savings (assuming a 20 percent down payment on a median-priced home) over the next year, or $1,260 total, to keep up with the rise in values. In other words: It costs more to hold off. Homebuyers in hotter markets have to contribute even more to their savings if they wait. In San Jose, Calif., the average homebuyer has to add $599 more each month to their savings to purchase a median-priced home ($1,088,434) with 20 percent down ($1,088,434); in Seattle, Wash., the average homebuyer has to add $394 more each month to their savings to purchase a median-priced home ($479,451) with 20 percent down. The post Don’t Wait: Buying Will Cost More in Just One Year appeared first on RISMedia.